Forest City Bike Share Program launches in early June. Ride with us! The Forest City Bike Share program is operational! 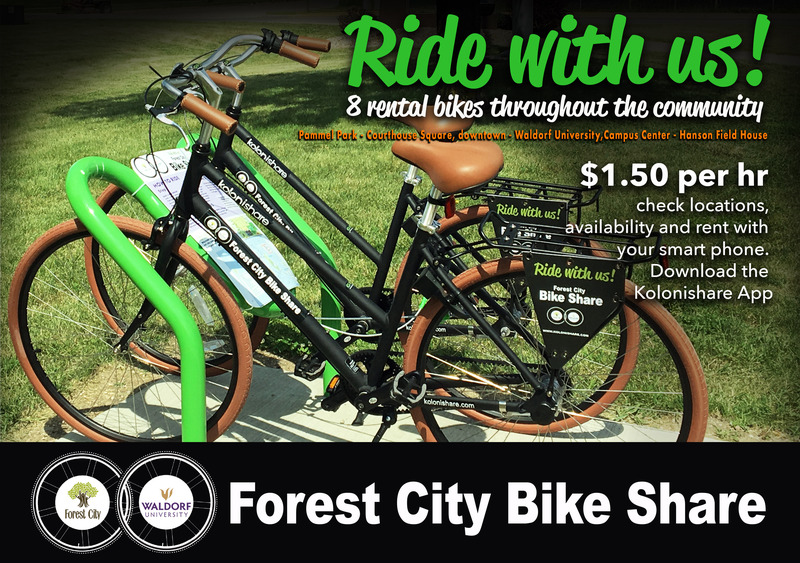 Forest City has 8 bikes at 4 different locations through out the community available for rent by the hour. These are available to be used by residents, Waldorf students, and visitors to provide transportation and enjoyable exercise. For only $1.50 per hour you can ride, ride, ride. How to rent a bike? Download the App called KoloniShare. On the App, locate Forest City and see the dots that indicate bike locations and availability. Follow the instructions to rent the bike. If you are having trouble locating the App, go to www.kolinishare.com and click the link. 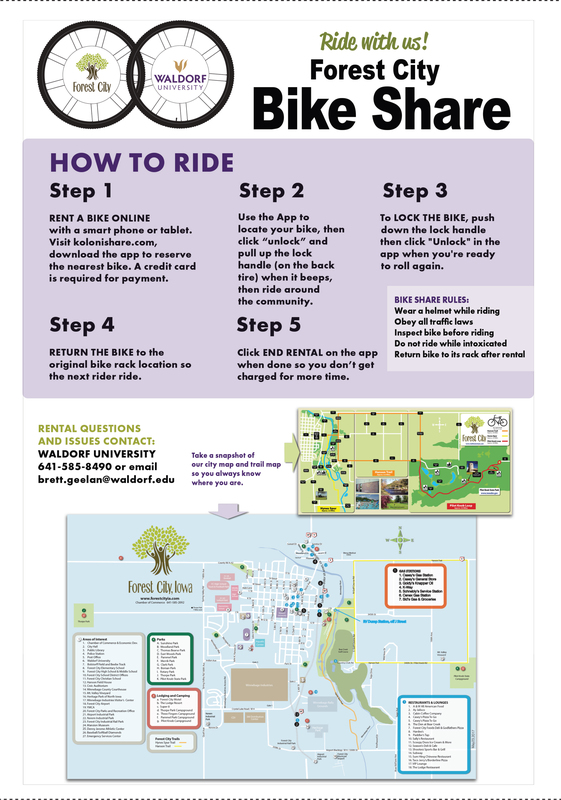 During your rental period, you will lock and unlock the bike through the app with your phone. So, take a spin to Pilot Knob State Park, stop in at Scoopy Doos Ice Cream and More or ride the trails. Let us know what you think of this program by email growfc@forestcityia.com. The bikes were purchased by a grant from the Iowa Dept of Public Health and NIACOG. Grow Forest City coordinated the program set-up and Waldorf University will administer and maintain the bikes. This is positive community partnership that offers transportation and exercise for students as well as Forest City residents and visitors.